Circa 1940s. "Joan Davis -- 'Fame' award." 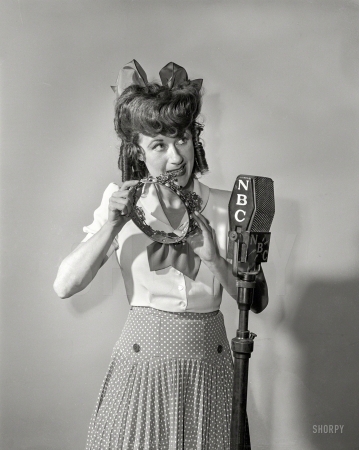 The radio star and early TV comedienne.